What do you think of their response? Today marks the 77th anniversary of Japan’s attack on Pearl Harbor, which killed more than 2,400 Americans at the Hawaiian naval base and surrounding areas and plunged the nation into World War II. The attack caught American forces by surprise and inflicted heavy casualties, preceding other coordinated attacks on U.S. and British bases throughout the Pacific. Pearl Harbor Day is an occasion to not only recall the lives lost and forever altered by the attacks that day, but also the sense of national unity and resolve it produced as Americans mobilized themselves to do their part to win WWII. Led by President Franklin D. Roosevelt and Congress, America began the transition from a nation at peace to waging a global war the next day. During his speech, FDR called for "absolute victory" in the face of “the unprovoked and dastardly attack” and asked Congress for a declaration of war against Japan. Lawmakers didn’t take long to oblige, as the Senate voted 82-0 immediately after the speech to approve the declaration and the House followed suit shortly thereafter on a 388-1 vote at 1:10pm. FDR signed the declaration three hours later — though that may not have been constitutionally necessary because Congress is explicitly granted the power to declare war. The lone dissenting vote came from Rep. Jeannette Rankin (R-MT), a pacifist who was also the first woman elected to Congress. Rankin had opposed the declaration of war to enter World War I as well, and did so again nearly three decades later on the grounds that "As a woman, I can’t go to war and I refuse to send anyone else." (Rankin abstained from voting on the war declaration against Germany and Italy two days later). Prior to the vote Sam Rayburn, a Democrat who became the longest-serving Speaker of the House, said of the war declaration that "I think that is one thing on which there would be unity," which was reflective of the national mood at the time. Rankin’s principled vote aside, he was largely correct in that judgement, as 16 million Americans went on to serve during WWII and contribute to the defeat of Japan and Nazi Germany. Of that total, over 400,000 were killed. 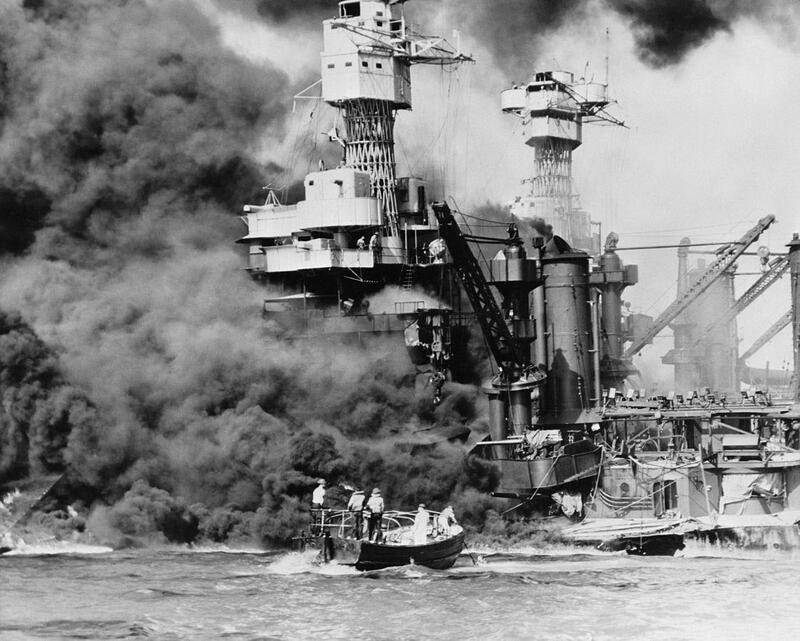 Times have changed in the last 77 years, but the resolve and unity displayed by the American people and their political leaders in the wake of the attack should be remembered in addition to the servicemembers who lost their lives that Hawaiian morning.